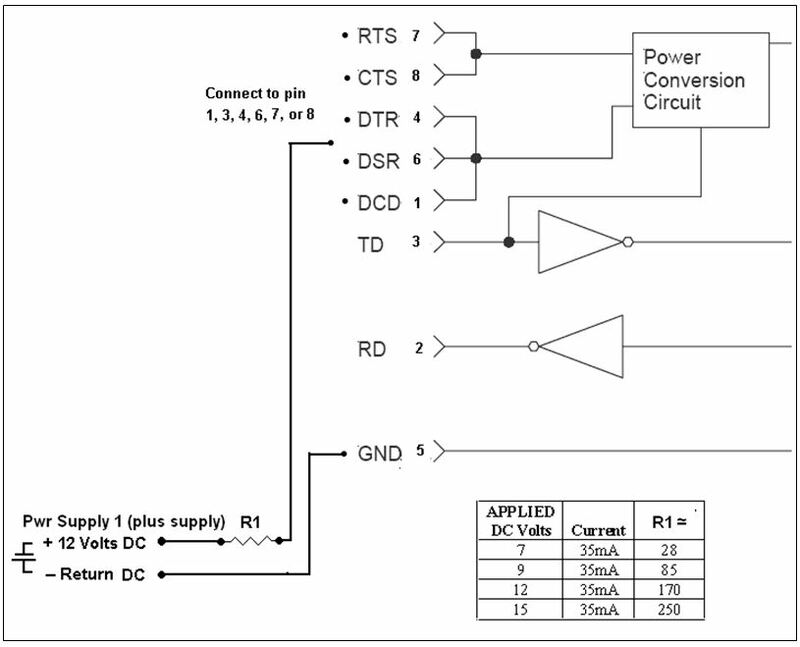 Why use an “optional” power supply with a port-powered converter? Simply put, all RS-232 ports are not created equal. Some host RS-232 ports are unable to provide enough power for a “port powered” converter to work effectively. Many laptop PCs, for example, deliberately reduce power to the RS-232 port to save the battery. And, if you are working at the distance limits of RS-422 or 485, you may need an extra boost. For the majority of applications though, the converter’s port powering is enough to accomplish the task. In situations like these, B+B SmartWorx recommends the purchase and use of an externally powered converter. However, if you already have a port-powered converter, the following describes how to inject an external power source that will safely and adequately power a port-powered converter. This document applies to all B+B SmartWorx port-powered serial converters and isolators with the exception of Model# 9SPOP2. (When the connected ports are unable to power the 9SPOP2, Model# 9POP4 with a Model# SMi6-12-V-P230-C1 power is recommended). • Only one pin in the charts listed below will require power. • Power supply ground on DB9 is pin 5 and for DB25 is pin 7. Table 1 shows how different applied voltages are used to power the converters. The approximate resistor values current limit the circuit to 35 mA. Wire the resistor in series between the voltage source and the handshake line of the port powered converter. For the following models, the current limited supply may be connected to pins 1, 4, 6, 7 or 8 of the converter’s RS-232 DB9 connector. Connect ground to pin 5. For the following model, the current limited supply may be connected to pins 4, 5, 6, 8 or 20 of the converter’s RS-232 DB25 connector. Connect ground to pin 7.